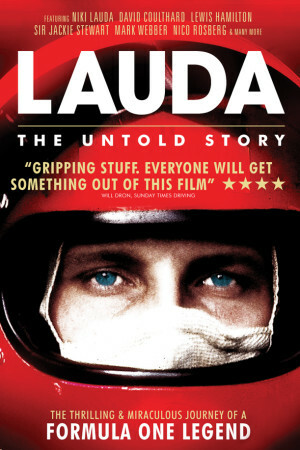 Lauda: The Untold Story is the unique heroes journey of Niki Lauda in 1976 between his almost fatal crash at the green hell and his miraculous comeback in Monza 33 days after he left the hospital. The theatrical feature documentary with unseen footage and exclusive interviews features Sir Jackie Stewart, David Coulthard, Marc Webber, Lewis Hamilton, Nico Rosberg, Hans-Joachim Stuck, Jochen Mass, Daniele Audetto, Bernd Mayländer, and many more. The film also reflects on the safety development between the early 1900s and today.